President Cyril Ramaphosa never said Eskom would be privatised when he announced the power utilities unbundling into three entities, Public Enterprise Minister Pravin Gordhan has said. The minister was among the members of Parliament debating President Cyril Ramaphosa's State of the Nation Address on Tuesday. Last week in the state of the nation address, Ramaphosa announced Eskom would be split into three entities - generation, transmission and distribution - which would fall under the company Eskom Holdings. Additionally government would support Eskom's balance sheet, the details of which will be revealed in the National Budget, to be delivered by Finance Minister Tito Mboweni on February 20. In his address Gordhan said the unbundling has "nothing to do with privatisation." He further said not all of Eskom's installed capacity is available, which has led to load shedding. He admitted Medupi and Kusile (power stations) were "badly designed and badly constructed' and "not performing at optimum levels". "We are addressing the issues," he said. Gordhan met with the Eskom board on Monday for a meeting which lasted six hours, to get a better understanding of the cause of load shedding, Fin24 reported. Gordhan said he and the board agreed to bring in external power station engineers to conduct the independent audit to get Eskom "back on track". "We are well on our way to make sure the diversion of state capture shall be overcome. We will continue to build developmental institutions, build capacity of the state and ensure SA achieve the true promise it is capable of achieving," the minister said. The power utility with a debt burden of R420bn other MPs of various opposition parties laid into the crisis during the debate. Leader of the Democratic Alliance (DA) Mmusi Maimane called for SA to have a more adaptable energy mix and the reform of state-owned enterprises (SOE). "We (the DA) aren't interested in preserving beleaguered SOEs like Eskom," he said. "Sell the ones that are not working like SAA, so our people can use these resources." DA MP Natasha Mazzone commented that "all of SA will be affected by collapsing Eskom," which is putting the "entire economy and millions of jobs in jeopardy." "We need to call this crisis what it is, this is no longer just load shedding - it is persistent, rolling blackouts. It is killing our economy," she said. Economic Freedom Fighters leader Julius Malema called out Ramaphosa's plan to unbundle the utility as a guise for privatisation for the benefit of the president's friends and family members in business. Malema said that privatisation had already started in the generation component of the utility through the introduction of power purchase agreements which have forced Eskom to buy power at "unaffordable and impractical" prices through an "irrational" business model. "We want to tell you here - Eskom will not be privatised and no retrenchments will take place. If you proceed to privatise Eskom, we as the EFF will seriously confront government and IPPs," Malema said. "Your approach to Eskom is going destroy the power utility," he added. "We will not allow you to destroy Eskom for quick, personal gain." Eskom introduced load shedding for the first time since December on Sunday. The power utility attributed it to plant breakdowns. On Monday the power utility unexpectedly lost six generating units and had to bump up load shedding from stage 2 - where it can cut up to 2 000MW from the national grid - to stage 4, where it can cut up to 4 000 MW from the national grid. 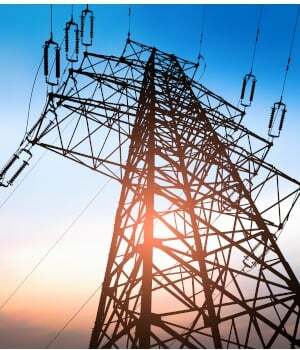 Eskom said it would implement stage 3 load shedding on Tuesday, between 08:00 and 23:00, Fin24 reported. Stage 3 load shedding will allow it to cut up to 3000 MW from the national grid.